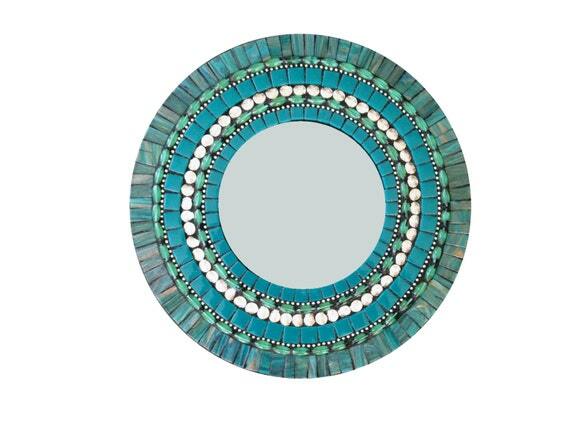 Round teal mixed media mosaic wall mirror, handcrafted and made to order just for you! I love the teal, turquoise, aqua, green and silver colors of this decorative mirror. Add a pop of color to any room in your home. This round wall mirror was created with a mixture if glass mosaic tile, silver beads, silver ball chain, iridescent tiles and teal glass beads. This item is made to order. Please allow up to three weeks to create and ship.